save the date - Smock. We see a variety of save the date styles come through our shop, but some of our favorites include a snapshot of the bride and groom to be. Using a photo from your engagement session is a great way to personalize your save the date and make it completely your own. 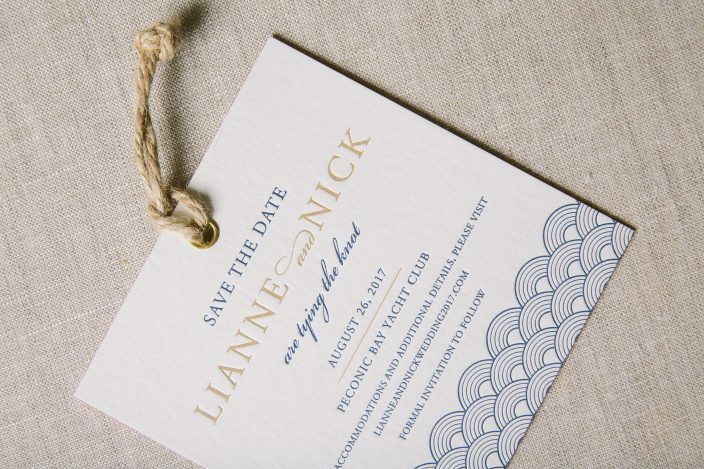 Take a peek at some of the different ways we have printed these type of save the dates below! 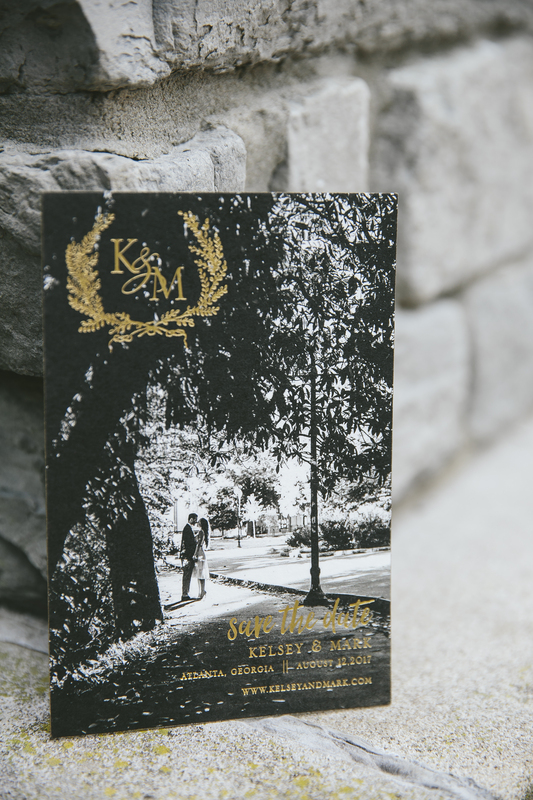 Kelsey and Mark decided to go for a dramatic black and white photo that covered the entirety of their save the date with a splash of Gold Matte foil for an added wow factor. They also decided to add a botanical cartouche that held their monogram which can be easily carried over to other paper goods likes invitations and day of pieces for consistency. Save the dates are also a great place to include any website information so that your guests can get a sneak peek of what’s to come! 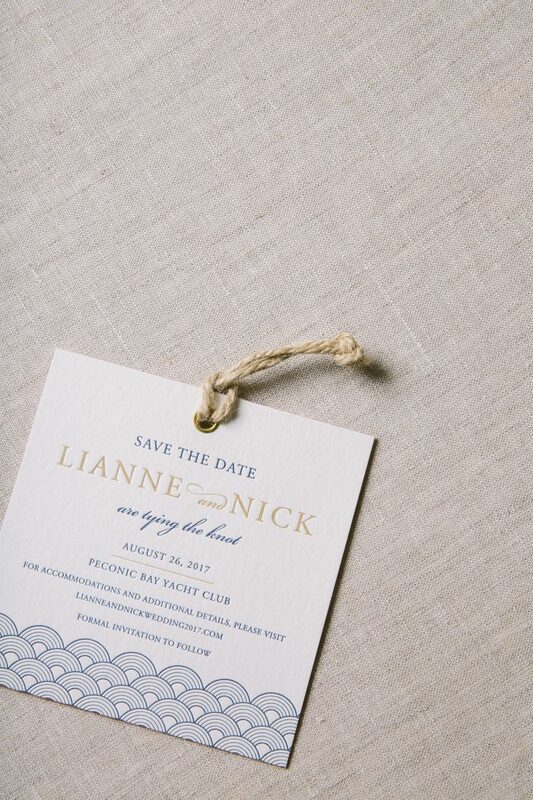 We’re so glad we got the chance to work with Jenny’s Paper, Ink to make this save the date come to life. 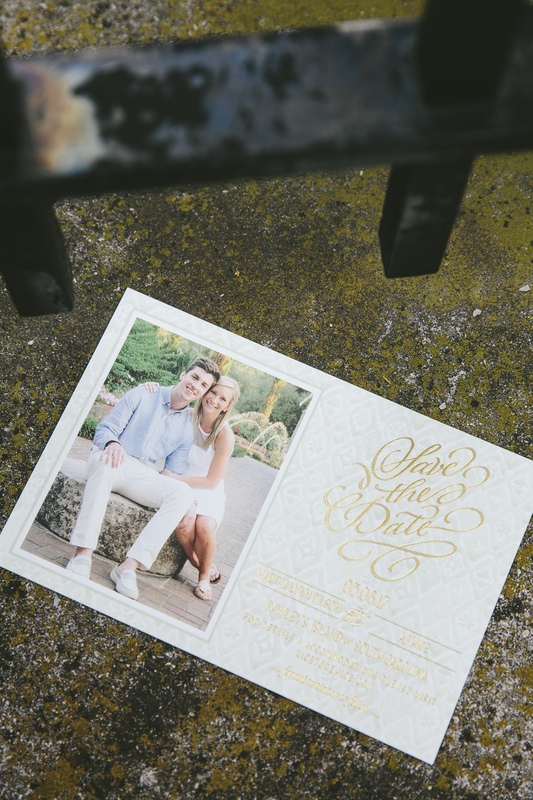 Martha and AJ’s Pawley’s Island wedding was announced using a save the date with a mint watercolor pattern, gold foil wording justified to the right, and their photo perfectly framed to the left. This sweet save the date set the tone for their spring affair and it couldn’t have come together without the help of our friends at Just Paper and Tea. 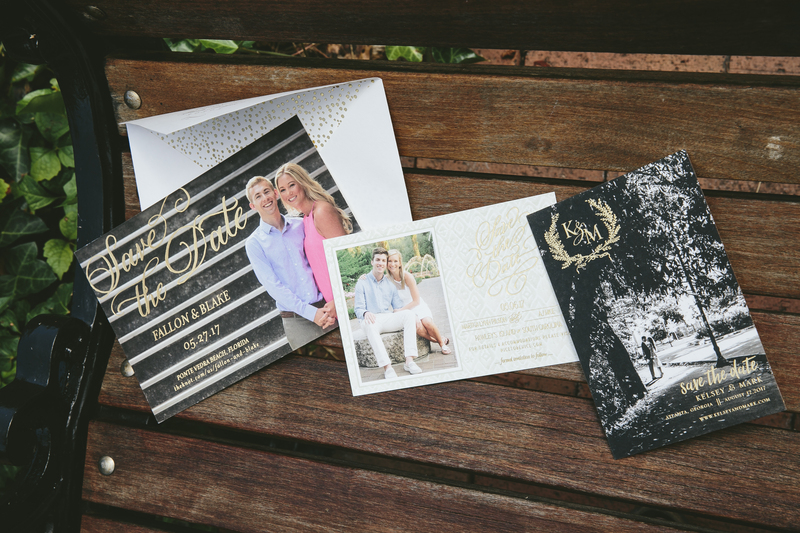 Thanks to the help of The Write Touch, this Florida couple opted for an oversized save the date with sprawling Gold Matte foil text displayed across their photo. 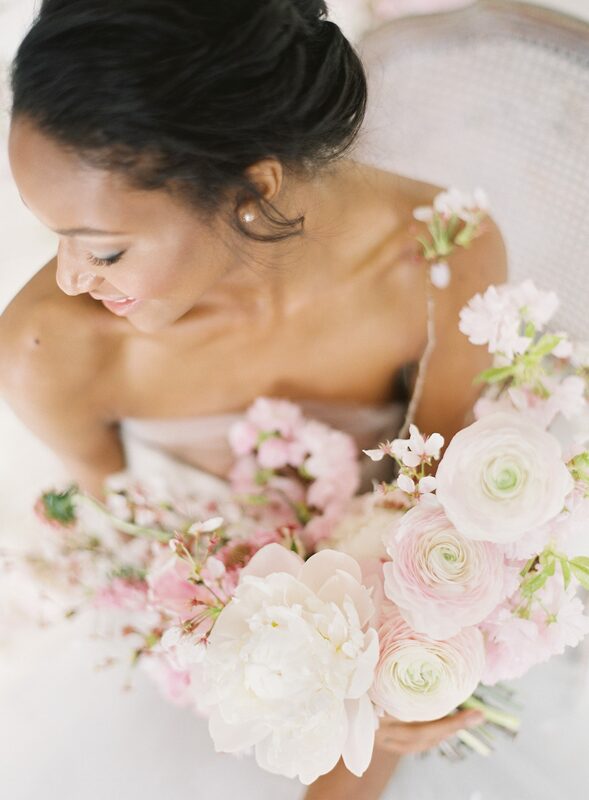 The bright pink from the bride to be’s dress gave this save the date an extra punch of unexpected color. 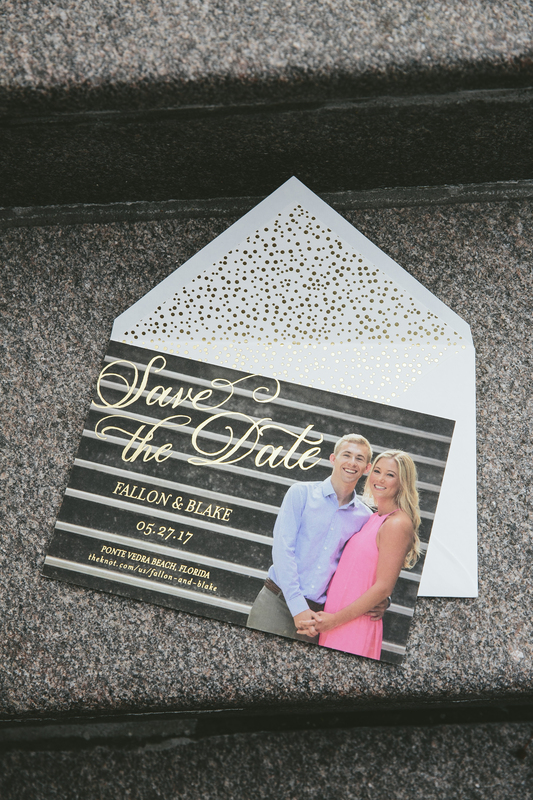 They paired their save the date with our Pearl pattern envelope liner for a final touch of playfulness.